LOS ANGELES — He has never liked the Big Top, mainly due to the caged animals and freaky clowns, but for legendary director Tim Burton there is no denying the romance of running away to join the circus. 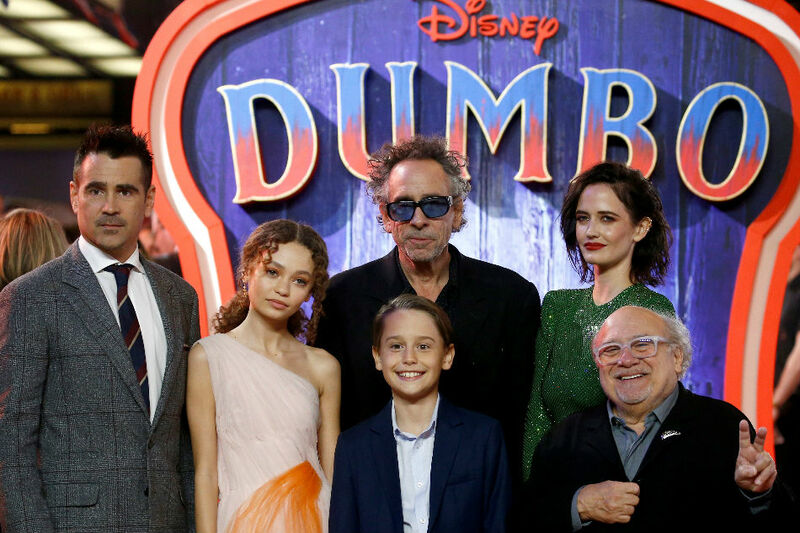 "The thing I liked about 'Dumbo' was just the idea — the image of a flying elephant and a misfit — and all that sort of stuff is very appealing to me," he told AFP. The visionary behind a slew of hits spanning four decades, from Gothic animation to screwball comedy, Burton recalls being something of a misfit himself — the other kids at school called him "weirdo." "You can have a misfit perceived as something and they use that as a positive thing," says Burton, pointing to Dumbo's big, floppy ears — a source of shame that becomes an advantage. The live action update follows the 1941 animated Disney fable in some aspects — as in the original, Burton's pachyderm protagonist is mute — but the human characters get a bigger role. And while Jon Favreau's 2017 "Beauty and the Beast" hewed close to the 1991 animated version — notwithstanding some extraneous backstory — "Dumbo" is a very different creature from its wartime progenitor. Filmed at Pinewood Studios, the iconic home of "James Bond" and "Star Wars" near London, the production's main hurdle was that its protagonist — a CGI animal added in post-production — was never on set. "I like the idea, that phrase you used to hear: 'I'm going to run away and join the circus.' Right? Not literally, but the idea — like you're going to go join a bunch of other misfits from around the world … I always liked that concept," he muses. "Dumbo" reunites Burton with Michael Keaton — his Beetlejuice and The Caped Crusader from the director's two "Batman" films — who plays the ruthless circus owner Vandevere. DeVito — the evil Penguin in the sequel "Batman Returns" — is the good guy here, a struggling ringmaster whose Big Top is acquired by Vandevere. Burton says it is Disney's mix of monsters and magic — its refusal to shy away from difficult and sometimes taboo themes like death and divorce — that makes it special. He recalls seeing a screening of 1940's "Pinocchio" — a family movie that doesn't pull its punches — and being surprised by the tears and shocked reaction of the modern audience to the puppet's death.